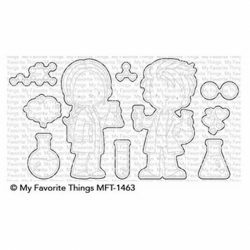 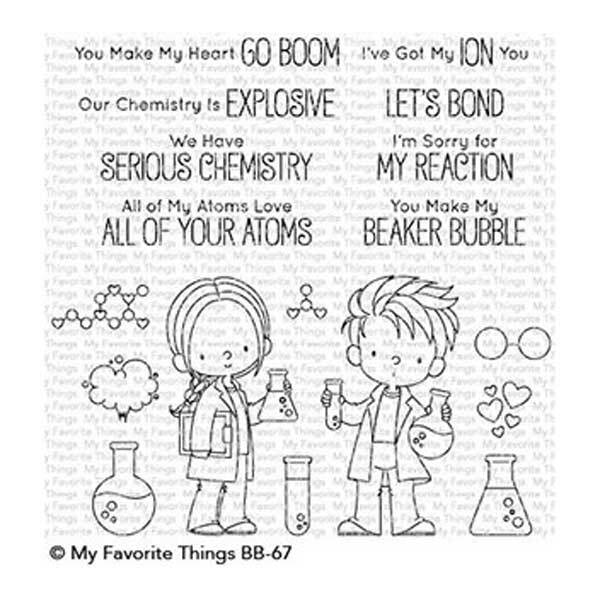 BB Cute Chemists stamp set by My Favorite Things. 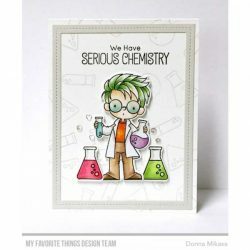 Birdie Brown has brewed up a concoction of images and words that will act as a catalyst of inspiration in an exuberant display of bubbling creativity. 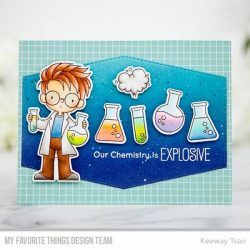 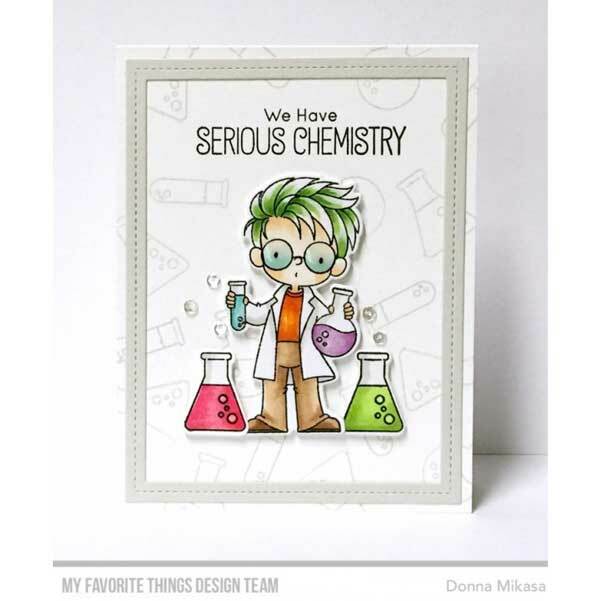 Take a charming girl and a wild-haired boy, add a little heat, and stir to see cardmaking chemistry in action. 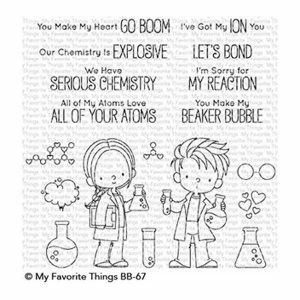 Outfit a full lab with the beakers and test tubes for a chain reaction resulting in an unbreakable bond of love and affection.